The Soviet Union's launch of the satellite brought the Cold War to a fever pitch, with more than just national pride at stake. The Soviets were poised to gain military control of space. At the time of the launch, John Stout was a Presbyterian missionary and a professor in charge of the Analytical Chemistry and Engineering Design department at the University of Lavras. He was that rare individual skilled in both the scientific and spiritual realms. A World War II minister and graduate of Austin Theological Seminary, Stout held a bachelor’s degree in Petroleum Engineering and a master’s in Chemical Engineering. He and his wife Helen had followed a call to do missionary work for the Presbyterian Church in the United States. While on furlough in Texas, the couple had a chance meeting at a local church service with George Reedy, the public affairs manager for Senator Lyndon Johnson. Reedy connected Stout with Johnson, who at the time was Chairman of the Committee on Astronautics and Space Exploration. Johnson put Stout in touch with the American Society of Professional Photographers, an innocuous-sounding organization created to conduct surveillance on potential Soviet space activity. The society provided Stout with data he would use to calculate when a satellite passed over his remote area of Brazil. 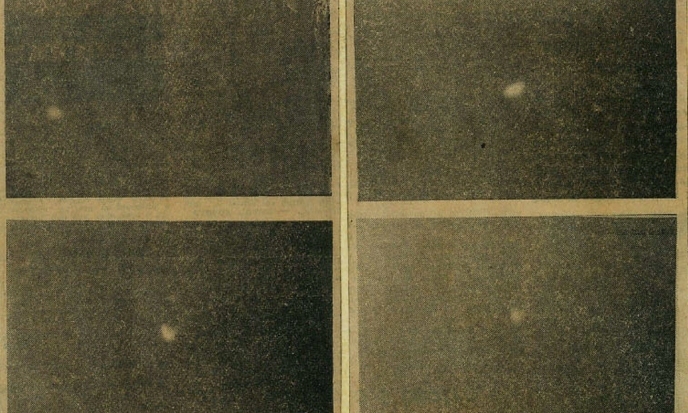 What the American Society of Professional Photographers did not provide Stout was a telescope; he had to use his own education and scientific brilliance to improvise one. According to Stout, a friend loaned him a telescope lens that he attached to a cheap camera mounted on a tripod. With the camera and telescope in place, Stout constructed a series of rotating wooden wheels powered by an old alarm clock. The wheels moved film past the camera lens to track an arc in the sky for roughly five minutes. 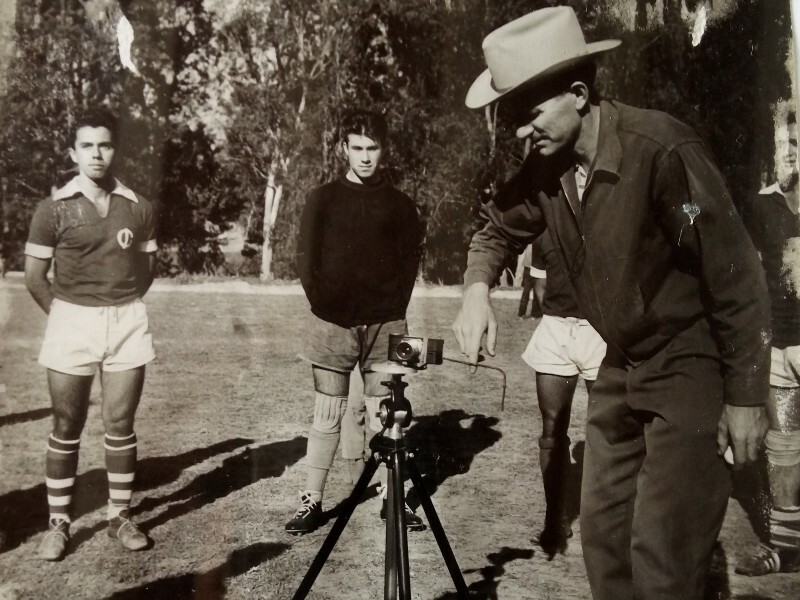 Stout also created, with the help of students from the University of Lavras, a “satellite predictor” from cardboard and celluloid. Years later, he would claim his homemade tracker was more accurate than Radio Moscow when it came to Sputnik. When he received word that the satellite had launched, Stout rushed into the jungle. In an amazing coincidence the city of Lavras lost power that night in October 1957, guaranteeing perfect viewing conditions. In a dark Brazilian forest, Stout’s homemade camera caught the first images of Sputnik ever recorded in the West. When the local papers reported his accomplishment, Stout became an instant celebrity. Amidst the publicity, he told Brazilian reporters that man would be on the moon within two years. The Stouts remained in Brazil until 1964. Upon their return to the United States, John was offered a position at Pan American Airways Guided Missile Ranch Division in Cape Canaveral, Florida. There his reputation grew to the point where he was eventually offered a position as senior information scientist at NASA. Stout took the job under one condition: he would also work as the administration’s volunteer chaplain. During his time at NASA, Stout started the Apollo Prayer League, which at its peak had a membership of 40,000. 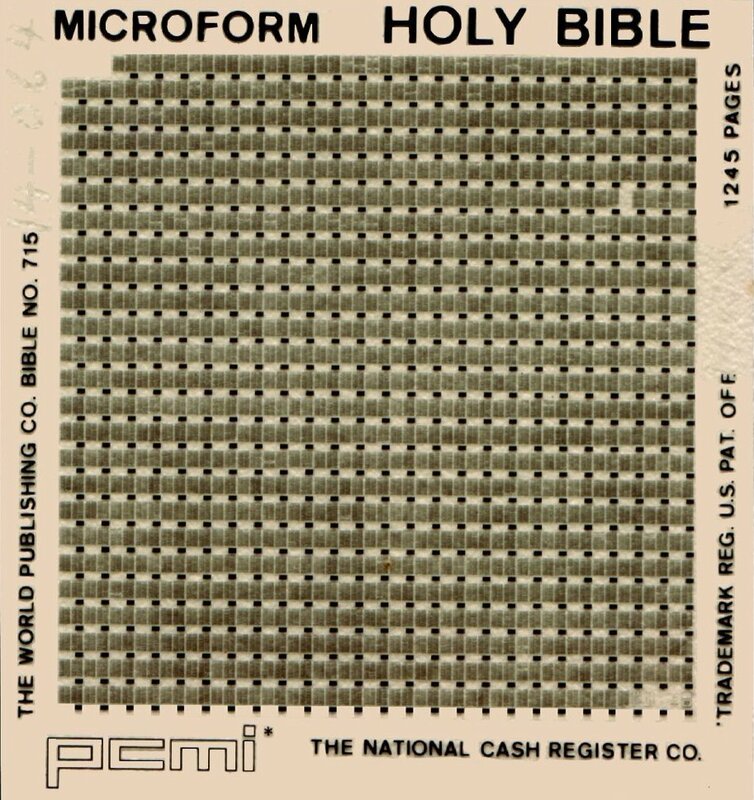 The league spearheaded the creation of the “Lunar Bible,” a packet of 100 microfiche/microfilm versions of the King James Bible placed on the moon by Apollo 14. A book on John Stout and the Apollo Prayer League, called the Apostles of Apollo, was published in 2013 by Carol Mersch. Read more about the Lunar Communion and other Heritage Sunday stories. Don’t forget to check out our blog page, which is frequently updated with new stories on Presbyterian history.